All the Regional Joint Directors of Schools Education and all District Educational Officers in the state are informed that, State Government is implementing PMJJBY - Chandranna Bima Scheme for 2.46 Crore members in the State to provide accidental, Life and Disability Insurance Scheme. As per the Scheme guidelines, Children's of insured members are eligible for sanction of scholarship @1200/- per child / per annum during 9th, 10th, Intermediate and ITI Standards. Further, they are informed that, SERP has processed the students data shared by the Board of Secondary Education and submitted to LIC of India for sanction of scholarship during 2017-18. But, the Govt. 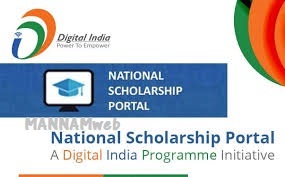 of India has decided to implement the Scholarship programme (Aam Aadmi Bima Yojana Scholarship) through National Scholarship Portal only from 2017-18 onwards. e) All the Schools shall login in to https: //nsp.gov.in/ to verify the students applications and update students application forms for sanction of scholarships, if the student studying 9th / 1 Qth class in their institution during 2017-18 and they should be promoted in the previous year. Therefore all the District Educational Officers in the State are requested to ensure 100% registrations of the schools as well as the students in their jurisdiction within the stipulated time.